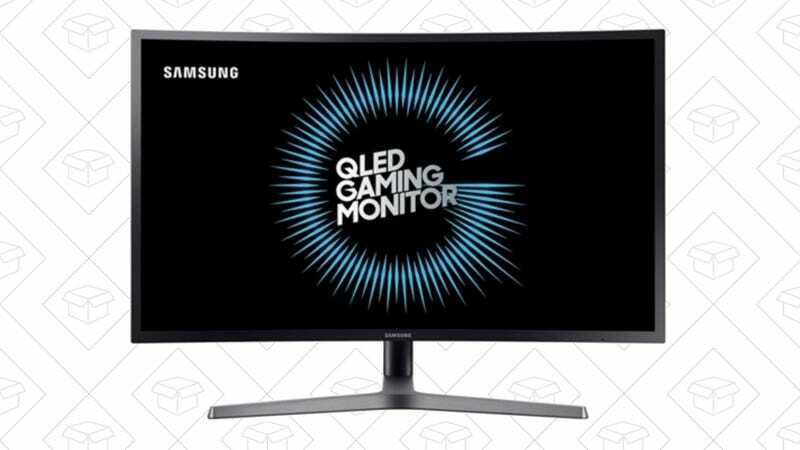 Samsung’s stunning QLED gaming monitor is more affordable than you think, if you don’t mind buying a refurb. The Q in QLED stands for Quantum Dots. You can read all about quantum dots here, but the long and short of it that they’re the backbone of a backlighting technology that can produce OLED-quality images and rich, deep blacks on a less expensive LCD panel. This particular display is 32", curved, offers 2560x1440 resolution, and most importantly for gamers, boasts a 144Hz refresh rate. Get it for $430 from Woot, while it lasts.